Homeowners who are looking to do some repairs and projects around the home can benefit from hiring a general contractor Boone NC. While it may appear as an additional expense to the overall cost of the project, in the long run, a general contractor can save you time and money. Let’s look at the ways that a general contractor can save you money on your next project! · A Single Point of Contact. Depending on the size and scope of your project there could potentially be numerous suppliers that will need to be consulted for pricing. Can you successfully negotiate with plumber, roofers, electricians, flooring suppliers and installers, or appliance stores, all to get the best price? Most suppliers give contractors a discount that is not available to the general public. When you try to negotiate the prices yourself, you could potentially end up paying 10-25% more than if you had gone through a general contractor. That savings alone could potentially cover the cost of hiring the contractor in the first place. · Pulls Permits and Builds to Code. 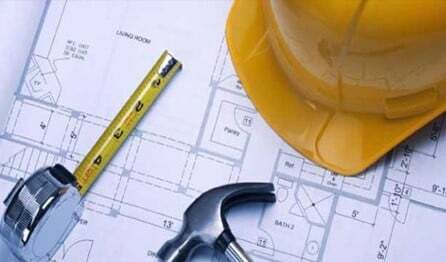 During the course of a construction project, a general contractor is responsible for pulling permits and seeing that the project passes inspections. Building permits and code violations generate revenue; therefore, you can count on inspections happening throughout your project. A general contractor will be responsible for pulling all required permits and ensuring that the project is built to code and passes inspections to minimize fines. Code violations that are not caught and fixed during the construction phase, can come back to haunt you if you choose to sell your home later on. At this point, you’ll either have to pay to fix the issues or sell “as is” and run the risk of a citation and court appearance. When you consider all of the added expenses that code violations and missed permits can accrue, it is easy to see that hiring a responsible general contractor who is on top of everything, can save you a fortune in fines and home resale! · Stays on Schedule. As most people are aware, construction projects are prone to not stay on schedule. When a project gets behind, that is when extra costs really start to add up. Many quotes from suppliers for a project are only valid for a certain time period after receiving the quote, therefore, delays can result from having to renegotiate supply costs. Not to mention, construction projects are a lot like dominos, when one aspect of the project gets delayed, there is a ripple effect putting the rest of the project behind schedule. When a whole project gets delayed is when the extra cost starts to add up, having to pay extra (i.e., extra staff, weekends, holidays, overtime) to get the necessary aspects of the project completed on time. Seeing how beneficial a general contractor Boone NC is to any project, can save you time and money by negotiating better rates and keeping the project on schedule. Fairbanks Home Builders has experience working as a general contractor and helping various clients have a favorable experience when it comes to construction projects. Let Fairbanks help you with your next construction project and see how they can help you save money throughout your project and see how investing in a general contractor pays for itself by providing a smoother building experience, with far less frustration, worry and unexpected expense.